Scientific illustration is a combination of medical science, art skills and passion. 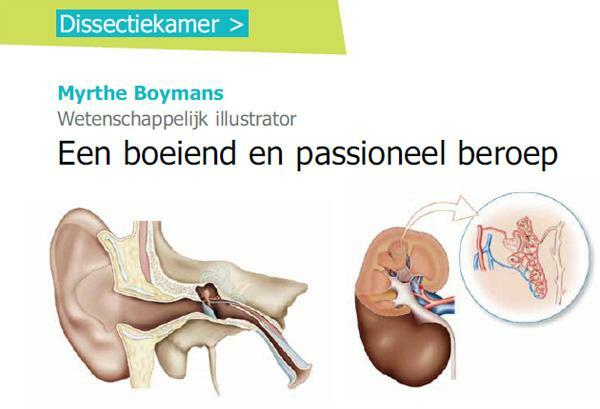 As a passionate scientific illustrator, with a Master degree I offer a different view on images used for medical (educational) resources. My years of experience working with several doctors, surgeons, physiotherapists, private clinics, publishers, pr offices, worldwide, learned that the illustration process is a combination of knowledge from the client and the knowledge from the illustrator. It brings a pleasant cooperation, with as purpose to create a beautiful image suitable for publication. Using scientific illustrations in an article, book or other publication looks professional and is educationally justified. Click here or on the image below for the interview.